City Centre Single room - Perfect for Business travel! Property 9: City Centre Single room - Perfect for Business travel! Stunning Studio Near the Cathedral! Property 12: Stunning Studio Near the Cathedral! Super Central Studio Apartment perfect for Business Travel! Property 15: Super Central Studio Apartment perfect for Business Travel! Clean & Modern Studio in Great Location! Property 25: Clean & Modern Studio in Great Location! 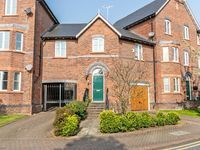 Luxury chapel apartment within Chester city walls, with parking. 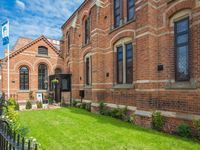 Property 36: Luxury chapel apartment within Chester city walls, with parking. This apartment was nothing short of amazing! It is perfectly situated within the city walls, with a very short walk to everything you would want to see. The apartment itself was immaculately clean and even included a Christmas tree as we stayed during the holiday season. Another thoughtful touch was the welcome basket, fresh milk, and bottle of sparkling wine left by our generous host. My only regret was not being able to stay longer. We had four people in our party: two adults, two children ages 14 and 11.